Jim began shooting at a very young age and quickly transitioned into competitive pistol matches soon after. After Enlisting in the US Army Jim served 8 years while deployed to the Balkan state of Kosovo in 06-08 and to Baghdad, Iraq in 09-10. With more than 20 years of experience using a wide variety of firearms, Jim has something to teach even the most advanced student. 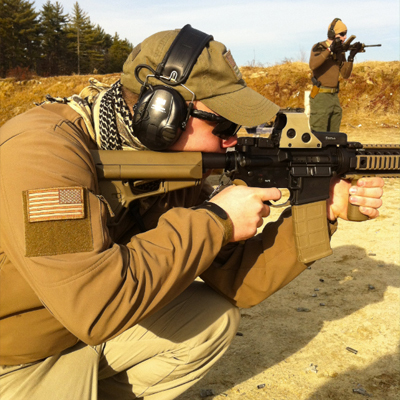 Now an Instructor at Down Range Firearms Training, it is his goal to teach and train you using a unique skill set and expose you to many different styles of shooting.